Despite the large quantity of phenomenological information concerning the bulk properties of nematic phase liquid crystals, little is understood about the origin of the surface energy, particularly the surface, interfacial, and anchoring properties of liquid crystals that affect the performance of liquid crystal devices. Self-contained and unique, Adsorption Phenomena and Anchoring Energy in Nematic Liquid Crystals provides an account of new and established results spanning three decades of research into the problems of anchoring energy and adsorption phenomena in liquid crystals. 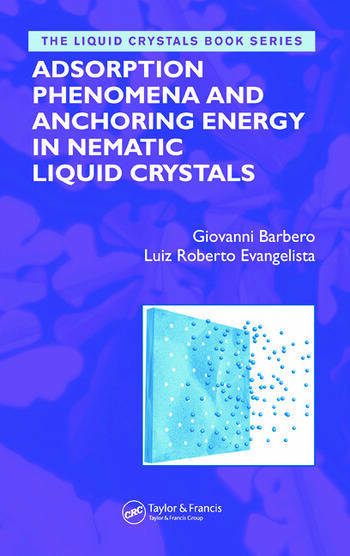 The book contains a detailed discussion of the origin and possible sources of anchoring energy in nematic liquid crystals, emphasizing the dielectric contribution to the anchoring energy in particular. 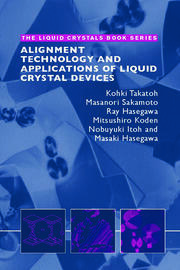 Beginning with fundamental surface and anchoring properties of liquid crystals and the definition of the nematic phase, the authors explain how selective ion adsorption, dielectric energy density, thickness dependence, and bias voltage dependence influence the uniform alignment of liquid crystals and affect the performance of liquid crystal devices. They also discuss fundamental equations regulating the adsorption phenomenon and the dynamic aspects of ion adsorption phenomenon in liquid crystalline systems. 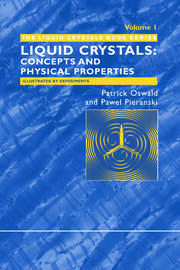 Adsorption Phenomena and Anchoring Energy in Nematic Liquid Crystals serves as an excellent source of reference for graduates and researchers working in liquid crystals, complex fluids, condensed matter physics, statistical physics, chemical engineering, and electronic engineering, as well as providing a useful general introduction to and background information on the nematic liquid crystal phase. 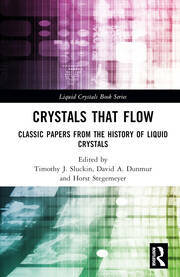 "...researchers working in the field of surface phenomena of liquid crystals and in related fields will benefit from the book as a source of reference as well as an extensive theoretical treatment of anchoring and the effects of ionic adsorption. For graduate students with some background in theoretical physics it serves as a comprehensive introduction to anchoring and adsorption in nematic liquid crystals."